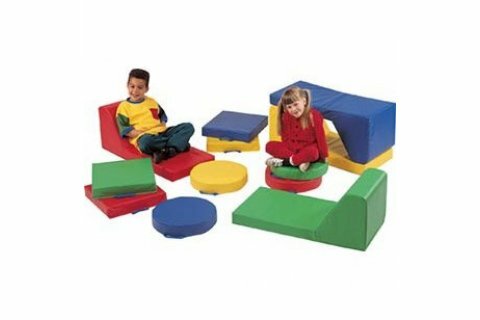 Preschool Loungers and floor Cushions offer a cozy place to sit during story time, circle time, or floor play. 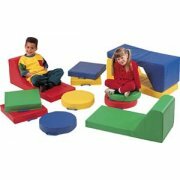 These floor pillows are convenient for both children and caregivers. They are a pleasure to arrange and simple to clean. Spills and stains can be quickly wiped away from the vinyl-coated nylon surface. 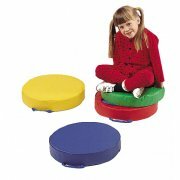 Lightweight soft-foam interiors make these floor cushions comfy to sit on and easy for children to move. Turn your floor space into an inviting padded seating area with these cushy, comfy floor cushions and loungers. These colorful cushions are sure to brighten up any room. They're perfect for preschools and day cares - and come ready to use. Quick Cleaning: Vinyl-coated nylon is easy to wipe off. Cozy: Soft foam makes sitting on the floor extra comfortable. 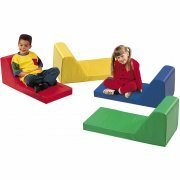 Lightweight: These floor cushions are easy to lift and set-up. Convenient: Cushions and loungers can turn any space into an instant seating area. 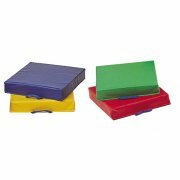 Attractive: Vibrant colors are sure to liven up any classroom. Stackable: These cushions can be piled high for easy storage.